I’m Stan Guinn. I own a small technology consulting firm in Lewisville. We handle support, sales and maintenance on computers, servers, networks, and IP/SIP phone systems. I am happily married to Jan and between us we have three daughters and five grandkids. I’ve lived in Texas pretty much all my life. Currently live in Highland Village near Lewisville Lake. 2. Why did you decide to join the Get You In Shape program? I had been working with my doctor attempting several approaches to help me lose weight and get in better shape for health reasons. I saw a Groupon for a free month and thought it looked like a great opportunity to get in shape. 3. What was your life like before joining the Get You In Shape Program? Before Get You In Shape I was suffering from all the normal old age syndromes. I was overweight. My stamina was nominal, strength was minimal. Walking any distance was a challenge. 4. What was your first impression from the Get You In Shape program? I was very excited from the very first session. I felt Get You In Shape was exactly what I needed to keep me focused and motivated to accomplish my goals. The trainers were all supportive and encouraging. Their positive, “Can Do” attitude was inspiring and motivating. The other boot campers were all so friendly and helpful. I really wasn’t very good at many of the exercises at first and I can’t express enough how much I appreciated everyone’s patience and support. The favorite tool both my wife and I started using at Brad’s recommendation was the myfitnesspal.com web and mobile apps. Learning about the amount of calories in various foods and how to make decisions about the calories I want to consume for any particular day was an incredible eye opener. I feel more in control of my diet than ever before. I found the GYIS blog to be a valuable source of health and nutrition information, as well as a great source of motivation from success stories. Seeing all the other campers working hard and enjoying boot camp on Facebook has been priceless. More than any of that the support, caring and inspiration of everyone involved with boot camp, trainers, other boot campers, Brad, Cynthia, has been the most invaluable part of the boot camp experience. I’ve tried several approaches to lose weight and get healthy. Health clubs: I tended to lose interest after a few months. Workout videos were fun. About half way through one I find myself sitting on the couch eating ice cream cheering the trainer on..”you go guy, I’ll catch up to you in a minute”. Walks around the neighborhood were good. Doing anything is better than doing nothing. But now, in retrospect, I can see how I am capable of so much more. And that’s what sets Get You In Shape ahead and apart from other programs. The structure, support, and motivation to be accountable encouraged me to push myself to accomplish more. 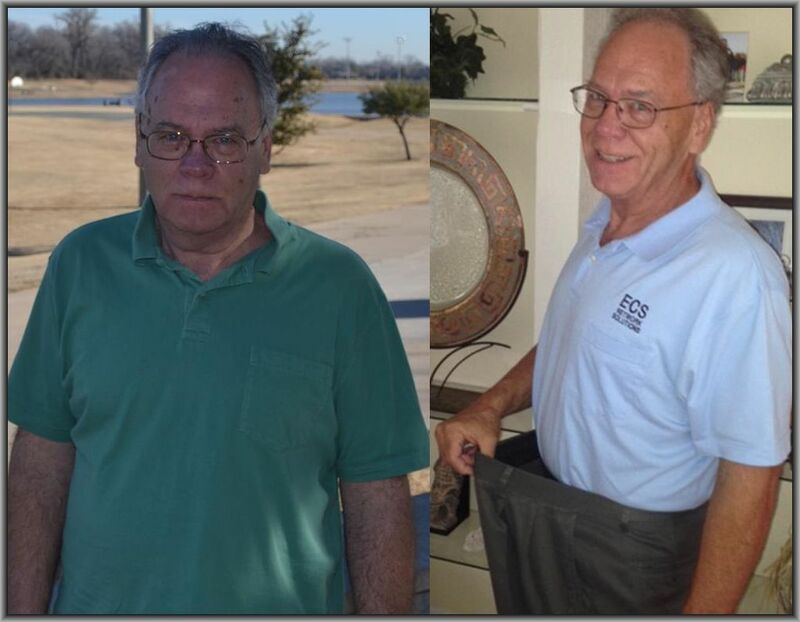 I have achieved many positive results and health benefits from my experience at Get You In Shape. Since I started full time in Feb., I’ve lost a total of 33lbs. and about 17inches. I’m the smallest I have been since I graduated high school. The first time I ran a mile at Get You In Shape, it took me 18:59 to get through it. And I can’t express enough my appreciation to the trainers for waiting for me so I could actually have a time to record. My most recent mile was 10:44. At my age, 63, that’s pretty incredible that I can run a mile at all. Much less that I did it in sub 11 time. The first time I tried to run a 5k, I pulled something in my leg and could hardly walk for a month. Now I regularly run 3 miles in times as low as 35 mins. Before boot camp, my fasting blood sugar in the morning was averaging 105-110, pre-diabetes range. Now it’s 82-85, normal. My pants size has dropped from 40-42in waist down to a 34in waist. I can now shop at Target and walk around the store normal and upright without leaning on the cart like it was a walker. I have the strength and stamina to mow my lawn. And best of all, my wife thinks I’m hot. I would and have recommended the boot camp to everyone that has mentioned an interest in getting healthier or in better shape. This has been one of the best experiences I have had.